and try to keep it all the year. I will live in the Past, the Present, and the Future. The Spirits of all Three shall strive within me. I will not shut out the lessons that they teach! 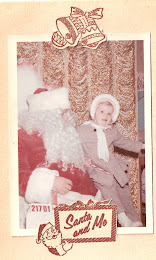 WELCOME TO MY CHRISTMAS BLOG!! Christmas is my favorite Holiday and my favorite time of year! I go all out decorating our small townhouse for all Holidays but especially Christmas! Every room in our home has a different Christmas Theme and Color Scheme!! I prove that you do not have to live in a large home to have several Trees, over 20 in all shapes and sizes!! 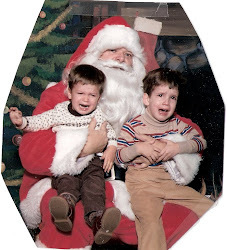 This blog is dedicated to All Things Christmas!! I know... I missed posting on the 25th!! Well, it was one of those weekend's where what I intended to do, didn't happen! My oven caught fire ( small flame, no worry) but that lead to buying a new range, refrigerator and TV!! There is always next month on the 25th!! Then there is a section of recipes after all the Decorating Themes and Ideas. I am looking forward to this season's Christmas Cottage Journal as I now subscribe to the magazine. If you missed my review on the Autumn Cottage Journal, please click HERE. The Last of The Spirit of Christmas Book Series!! Did you think I fell off the face of the earth over here at A Debbie-Dabble Christmas??? For the time being, I have decided to cut back on my posts to once a week for both my blogs, this one and my regular blog, Debbie-Dabble. By the beginning of September, a busy time of year will be starting for me with Fall and Halloween decorating, wreaths that I have orders for and making crafts for my upcoming Craft Fairs that I do November. Joe and I are also on vacation for the first 2 weeks of October and we may be doing some one day trips along with a lot of seasonal things we have to do around the house. So I will be posting on Debbie-Dabble once a week on Thursday mornings. I plan on including everything that went on for the entire week from crafting to decorating to shopping and my garden update. I feel that this will also give me more time to visit with all of you!! A Pink and Yellow Christmas Birdhouse!! And I also received this gift through the mail from Aledia over at Plum Perfect!! I LOVE this sweet plate with my initial, d , on it!! Thanks so much Aledia! 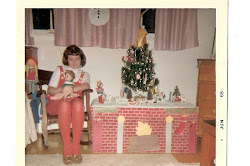 I am so glad that you enjoyed my Christmas in July Celebration!! And now on to the last books to be featured in The Spirit of Christmas Series. Again, Please ENLARGE pics for a better view! And this is Book 17, the final book in the series. See you next Monday morning when I will be sharing last year's "Christmas Cottage" edition of the magazine "The Cottage Journal." You will love this magazine. I did so much that I now subscribe to it!! AWARD and TAG FREE BLOG! The Spirit of Christmas, Book 14 & 15 ! The Spirit of Christmas Books 12 & 13! 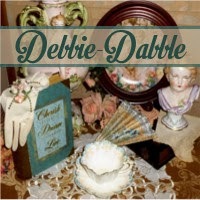 Followers- If you Follow me here, Please Follow me @ Debbie-Dabble Blog, my NEW Regular Blog too! Please follow Me on Face Book by sending me a Friend Request!!! My Latest Post on Debbie-Dabble Blog! Click on Pic to Read Post!! Click on pic to read each post!! Click on Pic to See! Clcik on Pic to See!! My Christmas Home Tour 2018 and 28 Trees!!!!!!! Get Ready with Organized Christmas! 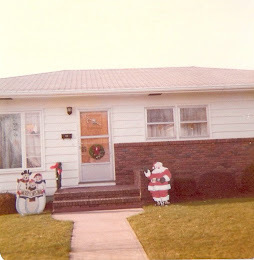 A Debbie-Dabble Christmas was featured as the blog of the Week! 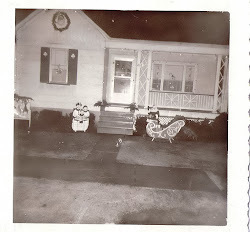 Front Porch Ideas and More 2011! I was featured! Click to see! 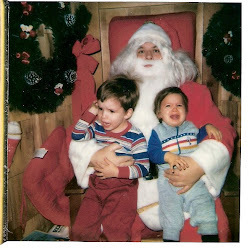 Can you tell how much my sons liked to have their photo taken with Santa!! I gave up after this!! 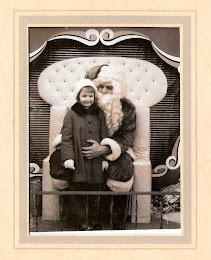 Me sitting on Santa's Lap as a Child!! This is the first tree I decorated! 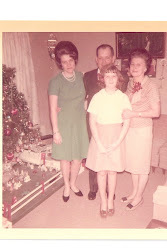 Barb, Dad, Mom and Me! 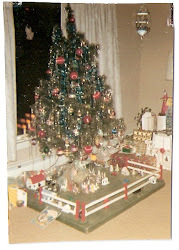 Christmas Past from my Childhood! My parent's Living Room in the early 60's! 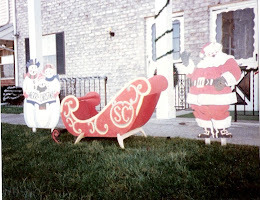 My Dad made the outside Christmas Decorations! Christmas Blogs and Blogs that Really Do Up Christmas! 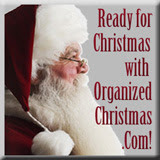 Organized Christmas - Simplify Your Holidays and Celebrate the Season!